their cards. 2 red ones, 1 pink, 1 hot pink, 2 yellow, 2 purple, 1 orange, and so on. Since we did not know exactly how many kids we were going to have, I made extras of each color egg and kept the colors separated in bags until the hunt. For simplicity's sake, lets say I had 14 bags, one for each square. Put the maximum number of eggs in each bag that you think you will need. Let's say you make 40 of each egg color. If you have 32 kids show up, then you hide 32 eggs from each bag. Give the extras out afterwards. because no one could find any. Finally I told them, the eggs were not there, just like Jesus’ body was not there when the disciples went back for it on Easter morning. We then went upstairs to hear the story of Jesus’ resurrection. MEANWHILE – we asked for volunteers from the adults who were at the breakfast to hide the eggs. By then we knew how many kids we had, so they each knew how many of their eggs needed to be hidden (remember, I kept all the colors separate; each adult was given a bag of one color to hide). After the kids discovered that Jesus was actually alive, we went back downstairs to see if our eggs had been resurrected too. They insisted to me that there were no eggs downstairs, but sure enough, they began to find eggs right away. This was a great activity. It involved a lot of adults to help hide the eggs, and they enjoyed being a part of the ruse. It was also a vivid demonstration of the disciples’ astonishment when Jesus was not in the tomb and their further amazement when they discovered that he was actually alive. The color coded cards enabled all the children to participate with minimal help. Even the non-readers could do it. If you do this with preschoolers, I recommend using only primary and secondary colors. Eliminate the pinks and the shades such as light blue and light green. 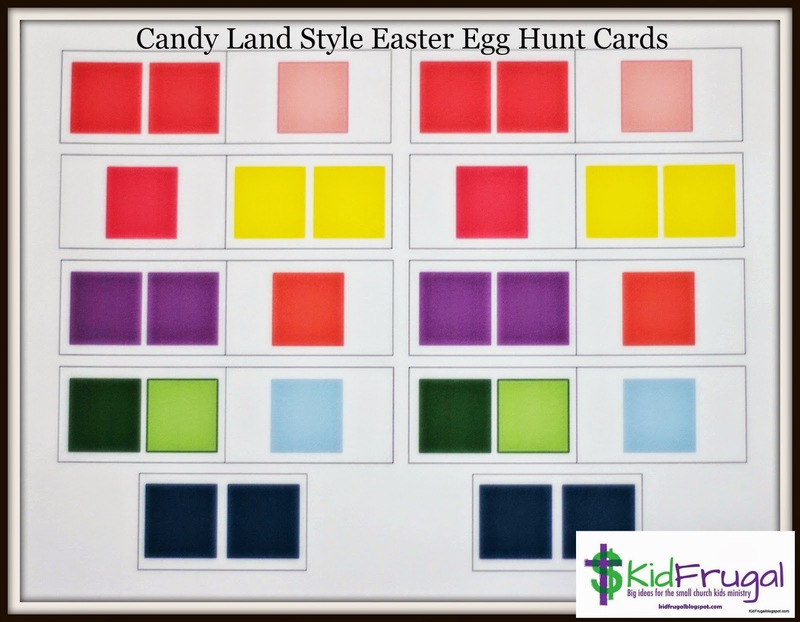 My thanks to Kidology for the idea of a reverse egg hunt. It came from the Easter Zone on their website. There is a fee to access most of their website, but there are also some good freebies on it. 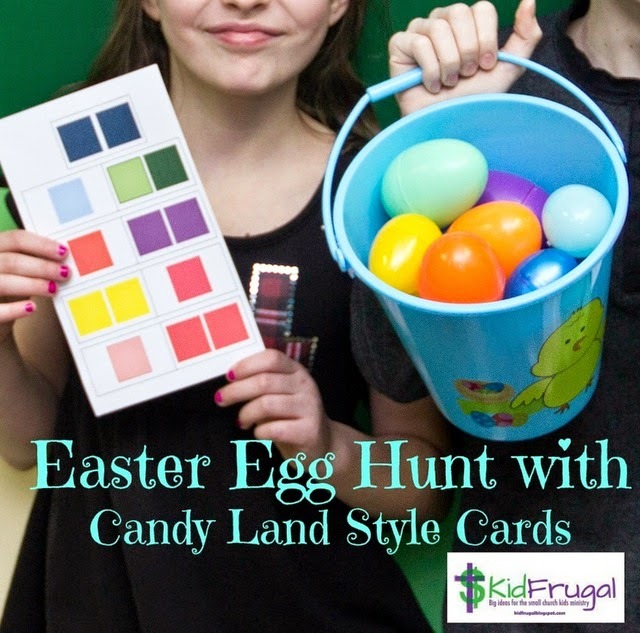 Here is the actual post for the "Easter Egg Hunt with a Twist" that you can access if you join Kidology.